This was a pretty interesting piece of news for me last week as I was actually affected by it (I think?). It’s an XML Quadratic Blowup Attack that affects both WordPress and Drupal and is quite serious as rather than just crashing the software, it can take down the whole server. It didn’t completely take down my server, but it did make it crash every time you loaded the page once, after a reboot it was ok. I also read about this shortly after, and quickly upgraded the WordPress version. It didn’t actually affect any of my personal sites, as by default I block any access to the XML-RPC library as I find it has been the weak link in WordPress many times. You can try here – xmlrpc.php. The vulnerability uses a well-known XML Quadratic Blowup Attack — and when executed, it can take down an entire website or server almost instantly. 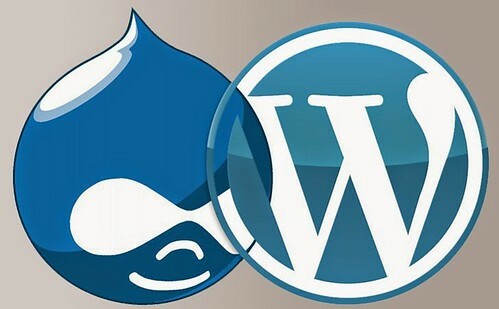 This is a big deal because WordPress and Drupal are used by millions of websites WordPress and Drupal are used by millions of websites. The latest statistics from W3Techs shows WordPress alone powers nearly 23% of the web. The XML vulnerability Goldshlager discovered affects WordPress versions 3.5 to 3.9 (the current version) and works on the default installation. It affects Drupal versions 6.x to 7.x (the latest version) and also works on the default installation. The good news is that both WordPress and Drupal have released patches for their applications. Users and web hosts simply need to upgrade to the latest version to protect against the vulnerability. When the vulnerability is exploited, the results can basically render a website or web server unusable. The vulnerability can cause 100% CPU and RAM usage, cause the server to become unavailable and also create a Denial of Service attack on the MySQL database program. In other words, your website and web server can become totally inaccessible. Fortunately this was disclosed responsibly by Nir Goldshlager, so it didn’t take down half of the Internet. The patched versions of both WordPress and Drupal were out before the news hit, and with the newer branch of WordPress small patches like this are easily automatically applied. It’s quite a simple attack, but could potentially be extremely disruptive – I would think it most likely exists in other CMS systems too, but it could be limited to only these two as they do share the same XML-RPC library. I believe the changes related to this vulnerability can be found here – Changeset 29404.